"November 26th" redirects here. For the attacks in India, see 2008 Mumbai attacks. November 26 is the 330th day of the year(331st in leap years) in the Gregorian calendar.There are 35 days remaining until the end of the year. 783 – The Asturian queen Adosinda is held at a monastery to prevent her kin from retaking the throne from Mauregatus. 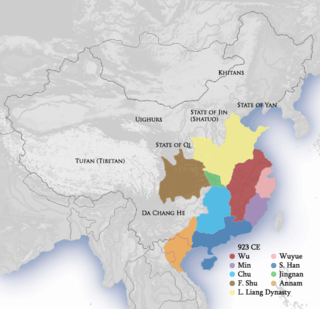 1161 – Battle of Caishi: A Song dynasty fleet fights a naval engagement with Jin dynasty ships on the Yangtze river during the Jin–Song Wars. 1476 – Vlad the Impaler defeats Basarab Laiota with the help of Stephen the Great and Stephen V Báthory and becomes the ruler of Wallachia for the third time. 1789 – A national Thanksgiving Day is observed in the United States as proclaimed by President George Washington at the request of Congress. 1812 – The Battle of Berezina begins during Napoleon's retreat from Russia. 1825 – At Union College in Schenectady, New York, a group of college students form the Kappa Alpha Society, the first college social fraternity. 1863 – United States President Abraham Lincoln proclaims November 26 as a national Thanksgiving Day, to be celebrated annually on the final Thursday of November. Following the Franksgiving controversy from 1939 to 1941, it has been observed on the fourth Thursday in 1942 and subsequent years. 1865 – Battle of Papudo: A Spanish navy schooner is defeated by a Chilean corvette north of Valparaíso, Chile. 1917 – The Manchester Guardian publishes the 1916 secret Sykes-Picot Agreement between the United Kingdom and France. 1918 – The Montenegran Podgorica Assembly votes for a "union of the people", declaring assimilation into the Kingdom of Serbia. 1939 – Shelling of Mainila: The Soviet Army orchestrates an incident which is used to justify the start of the Winter War with Finland four days later. 1941 – World War II: The Kido Butai (Japanese Combined Fleet) leaves the Kuril Islands to strike Pearl Harbor on December 7, 1941. 1942 – World War II: Yugoslav Partisans convene the first meeting of the Anti-Fascist Council for the National Liberation of Yugoslavia at Bihać in northwestern Bosnia. 1943 – World War II: HMT Rohna is sunk by the Luftwaffe in an air attack in the Mediterranean north of Béjaïa, Algeria. 1944 – World War II: A German V-2 rocket hits a Woolworth's shop in London, United Kingdom, killing 168 people. 1949 – The Constituent Assembly of India adopts the constitution presented by Dr. B. R. Ambedkar. 1965 – At the Hammaguir launch facility in the Algerian Sahara, France launches a Diamant-A rocket with its first satellite, Asterix-1 , on board. 1968 – Vietnam War: United States Air Force helicopter pilot James P. Fleming rescues an Army Special Forces unit pinned down by Viet Cong fire. He is later awarded the Medal of Honor. 1977 – An unidentified hijacker named Vrillon, claiming to be the representative of the "Ashtar Galactic Command", takes over Britain's Southern Television for six minutes, starting at 5:12 pm. 1986 – Iran–Contra affair: U.S. President Ronald Reagan announces the members of what will become known as the Tower Commission. 1998 – Tony Blair becomes the first Prime Minister of the United Kingdom to address the Oireachtas, the parliament of the Republic of Ireland. 1998 – The Khanna rail disaster takes 212 lives in Khanna, Ludhiana, India. 1999 – The 7.5 Mw  Ambrym earthquake shakes Vanuatu and a destructive tsunami follows. Ten people were killed and forty were injured. 2000 – George W. Bush is certified the winner of Florida's electoral votes by Katherine Harris, going on to win the United States presidential election, despite losing in the national popular vote. 2003 – The Concorde makes its final flight, over Bristol, England. 2004 – The last Poʻouli (Black-faced honeycreeper) dies of avian malaria in the Maui Bird Conservation Center in Olinda, Hawaii, before it could breed, making the species in all probability extinct. 2008 – Mumbai attacks by Lashkar-e-Taiba. 2011 – NATO attack in Pakistan: NATO forces in Afghanistan attack a Pakistani check post in a friendly fire incident, killing 24 soldiers and wounding 13 others. 2011 – The Mars Science Laboratory launches to Mars with the Curiosity Rover. Year 783 (DCCLXXXIII) was a common year starting on Wednesday of the Julian calendar. The denomination 783 for this year has been used since the early medieval period, when the Anno Domini calendar era became the prevalent method in Europe for naming years. The Kingdom of Asturias was a kingdom in the Iberian Peninsula founded in 718 by the Asturian chief Pelagius of Asturias. It was the first Christian political entity established after the Umayyad conquest of Visigoth Hispania in 718 or 722. That year, Pelagius defeated an Umayyad army at the Battle of Covadonga, in what is usually regarded as the beginning of the Reconquista. The Kingdom of Asturias transitioned into the Kingdom of León in 924, when Fruela II of Asturias became king with his royal court in León. Adosinda was the queen of Asturias during the reign of her husband, Silo, from 774 to 783. She was a daughter of Alfonso I and Ermesinda, daughter of the first Asturian king, Pelayo. She was a sister of Fruela I. Year 907 (CMVII) was a common year starting on Thursday of the Julian calendar. Saint Rudesind was a County of Portugal bishop and abbot. He was also a regional administrator and military leader under his kinsmen, the Kings of León. Year 1288 (MCCLXXXVIII) was a leap year starting on Thursday of the Julian calendar. Gavriel Noach Holtzberg was an Israeli American Orthodox rabbi and the Chabad emissary to Mumbai, India, where he and his wife Rivka ran the Mumbai Chabad House. He was also a religious leader and community builder for the local Jewish Indian community, and led the Friday-night Shabbat services at the Knesset Eliyahoo synagogue. Holtzberg and his wife were murdered during the 2008 Mumbai attacks perpetrated by Islamic militant group Lashkar-e-Taiba. Ashok Kamte AC was the Additional Commissioner of the Mumbai Police supervising the Eastern region. He was martyred while in action during the 2008 Mumbai attacks. His bravery was honored with the Ashoka Chakra on 26 January 2009. 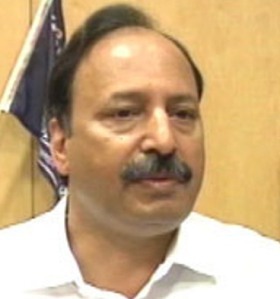 Hemant Karkare AC was the chief of the Mumbai Anti-Terrorist Squad (ATS). He was killed in action during the 2008 Mumbai attacks after being shot three times in the chest. However it is not known who exactly killed him as there is no conclusive evidence. His bravery was honoured with the Ashoka Chakra on 26 January 2009. Year 399 (CCCXCIX) was a common year starting on Saturday of the Julian calendar. At the time, it was known as the Year of the Consulship of Eutropius and Theodorus. The denomination 399 for this year has been used since the early medieval period, when the Anno Domini calendar era became the prevalent method in Europe for naming years. Year 946 (CMXLVI) was a common year starting on Thursday of the Julian calendar. Saint Alypius the Stylite was a seventh-century ascetic saint. He is revered as a monastic founder, an intercessor for the infertile, and a protector of children. During his lifetime he was a much sought-after starets. Basolus (Basle) (c.555–c.620) was a French Benedictine and hermit. He was born near Limoges, and then became a monk near Verzy. He spent 40 years as a hermit on a hill near Reims. February 23 is the 54th day of the year in the Gregorian calendar. There are 311 days remaining until the end of the year. November 14 is the 318th day of the year in the Gregorian calendar. There are 47 days remaining until the end of the year. ↑ The Demjanjuk case John was in trial for accessory to murder charges. Israel Ministry of Foreign Affairs. 28 July 1993. Wikimedia Commons has media related to November 26 .